Hand-selected jumbo cashews are slowly roasted, sprinkled with a light dusting of sea salt, and then covered in rich dark chocolate for a protein-packed snack that satisfies your sweet and salty cravings. Perfect for snacking and sharing (if you're willing to share them)! Each box contains five-ounces. 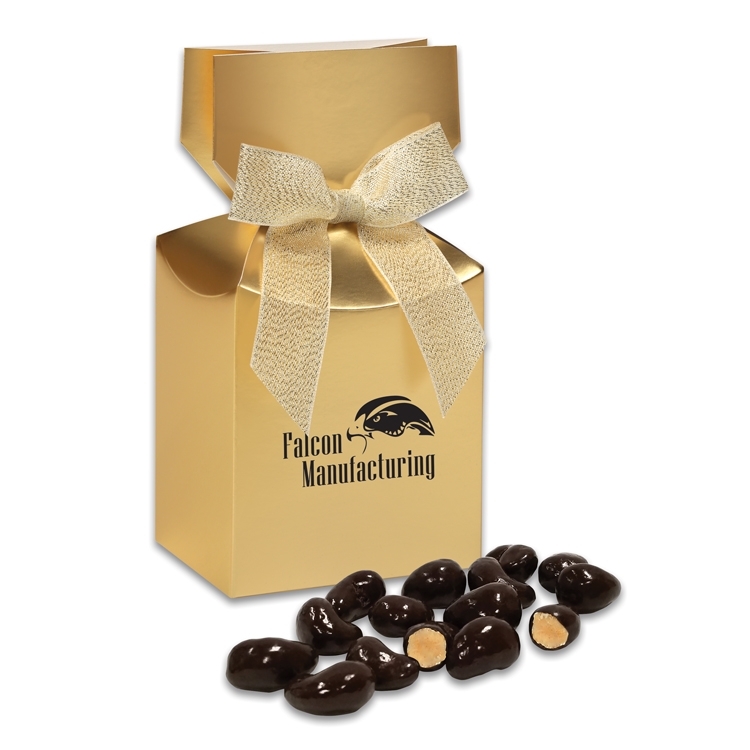 The gold gift box is foil-stamped in choice of color (black, silver, blue, green or red) and tied with gold bow. Individual mailing cartons are available at an extra charge.